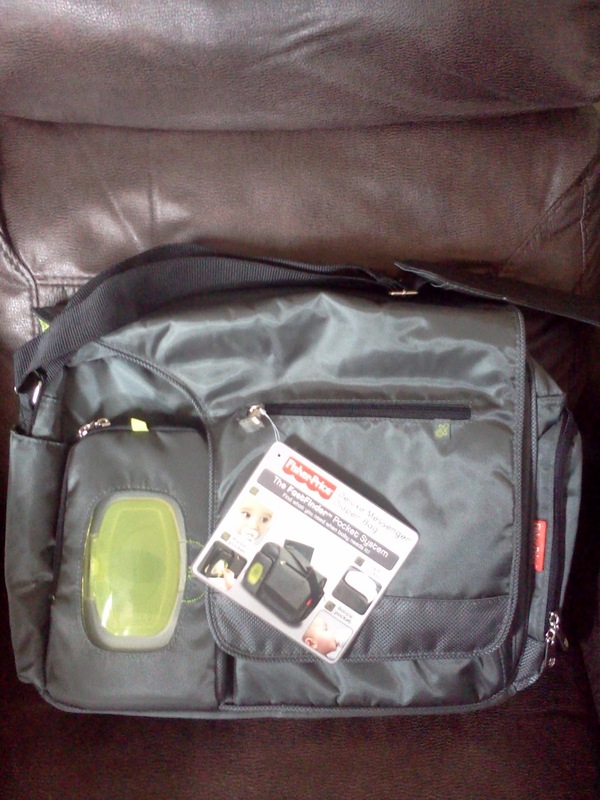 #Giveaway What To Expect: Fisher-Price FastFinder Diaper Bag (Preparing For Baby Guide) CLOSED! Fathers Day is this Saturday, and like a lot of people out there, I always have the question in my mind on what I will get my husband. This year, we are expecting a baby. I think that everyone should get the chance to be celebrated when there is a new baby coming in the family and not just the pregnant mama. For my kids, I like to let them pick out special items for the new baby that will be from them, I also had a friend make them shirts that said Big Sister and Big Brother on them. Another thing that I did that was special was take my kids individually to appointments to hear and see the baby so that they felt special since they were the only ones with mommy. Then there comes dad, I get to have gifts given to me at a baby shower, I get pampered, and I get products that I will use for the new baby. One item that I get, but that my husband also ends up using is a diaper bag. With our son, I had a quilted diaper bag with bows on it, it was not pink but it was still girly, and my husband had to use it when he took our son out with him. So this time around I want to do something different, I want him to have a diaper bag that doesnt look feminine, one that looks manly but functions as a diaper bag, a diaper bag that is made for daddies to easily use and not feel funny about taking out with them. 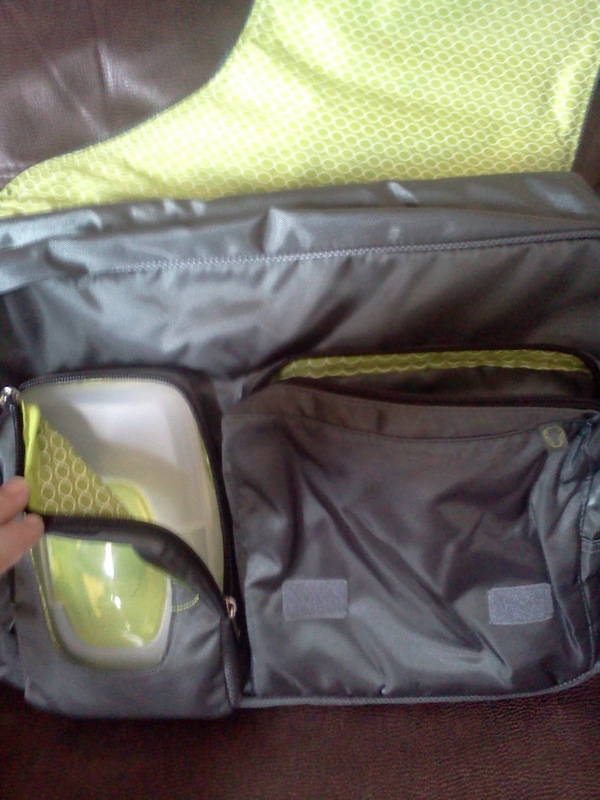 Well my search is over because I was sent the new Fisher-Price FastFinder Diaper Bag that is made with dad in mind. In fact this diaper bag has made it to the big screen as a diaper bag for dad in the movie What to Expect When Your Expecting, being used by Chris Rock!! I was very thrilled to get one of these awesome diaper bags for review. I wanted to see if it had everything my husband would need and in fact it does and more!! First of all, I love the style, it is simple, yet a style that is handy and one that I know my husband wont have a problem carrying around with him! I love that there is a place that opens up for easy access for the wipes, which we all know dad needs to have right there and very handy, lol!! In fact the entire bag is made so that dad can access anything he needs with just one arm!!! The inside pouch is big enough to carry diapers, extra clothes, toys and even something for dad like his tablet to keep him entertained as well! Then on the side there is not just a bottle holder, it is a insulated bottle holder, which is perfect for any diaper bag, but which makes this diaper bag for dad even more handy and convenient!!! Well to help with your own preparing for baby, and to get that perfect diaper bag for dad, the wonderful people from Fisher-Price are giving one of my amazing readers their own Fisher-Price FastFinder Diaper Bag!!! Take a look at the FastFinder line of diaper bags from Fisher-Price and tell me which one you like best!! Please leave me your email with this entry!!! Repin one of the photos from this post! This giveaway is open to US residents. This giveaway will end at 11:59 pm on July 13,2012. Winner will be chosen at random.org and will be given 48 hours before another winner will be chosen. All products for reviews and giveaways are given as a sample from the companies. All opinions in reviews I conduct are my own. I was not paid to say anything or review any products. Previous Post #Giveaway Journey 2: The Mysterious Island Blu-Ray Combo Pack CLOSED!! Next Post Apple MacBook Air: The Ultimate Gift For Dad!! I like Mommy Katie on Fb.Kimberlie S.T. I like Fisher-Price on Fb.Kimberlie S.T. I follow you on Networked blogs.Kimberlie S.T. 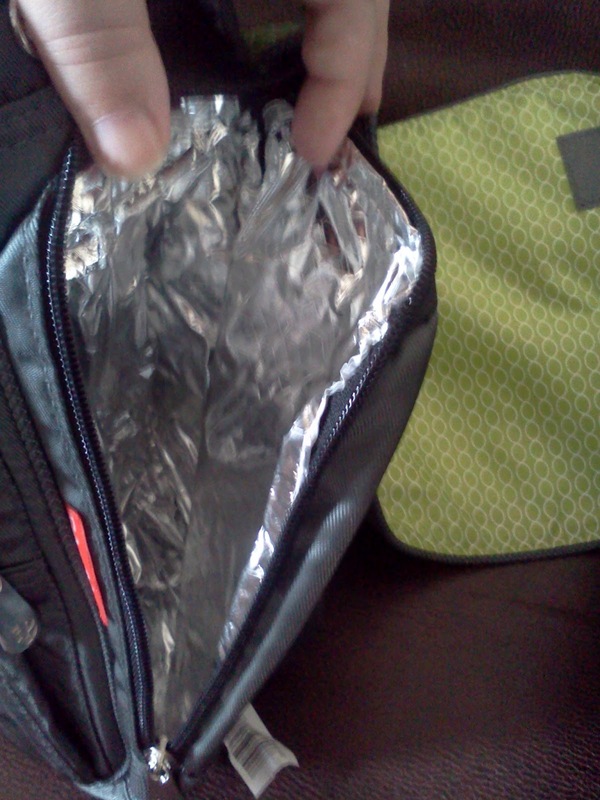 I like the grey Deluxe Messenger Diaper Bag with the FastFinder™ Pocket System. Thanks!! Deluxe Fashion Diaper Tote with the FastFinder™ Pocket System (Brown)is my favorite! #1Liked your new FB page. I'm Melissa Belle there. #2Liked your new FB page. I'm Melissa Belle there. #1Google + follower, I'm Melissa Belle. #2Google + follower, I'm Melissa Belle. Networked Blogs follower – Melissa Belle. I entered Dole Real Fruit Bites. I love the fashion messenger bag in gray.